Thank you for supporting Moon Sick Care Bags, which help address the desperate need that women and adolescent girls in Papua New Guinea have for material, reusable sanitary pads. I’m really pleased to let you know that the project has now evolved and EXPANDED! I’ve partnered with an Australian organisation called Authentic Power, which aims to provide economic opportunities for women in disadvantaged communities through Moon Sick Care Bag microbusiness start-up kits. 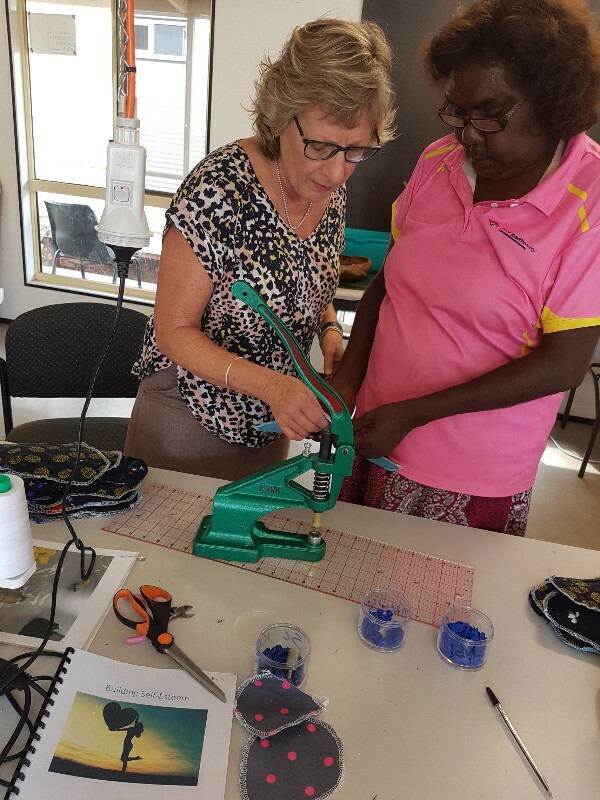 The Bags will continue to be made and gifted to women and girls in PNG and will also accompany the kits when they are provided to groups of entrepreneurial Papuan women who can start to make and sell reusable sanitary pads to their own, and other communities. This is very exciting and I’d ask you to please click HERE to make your donation to Moon Sick Care Bags through the Authentic Power Go Fund Me page. Thank you so much for supporting Moon Sick Care Bags, which help address the desperate need that women and adolescent girls in Papua New Guinea have for material, reusable sanitary pads. I’m really pleased to let you know that the project has now evolved and expanded! This is very exciting and I’d ask you to please click here to make your donation to Moon Sick Care Bags through the Authentic Power Go Fund Me page... gofundme.com/authentic-power. Would love all of my supporters to read this article. 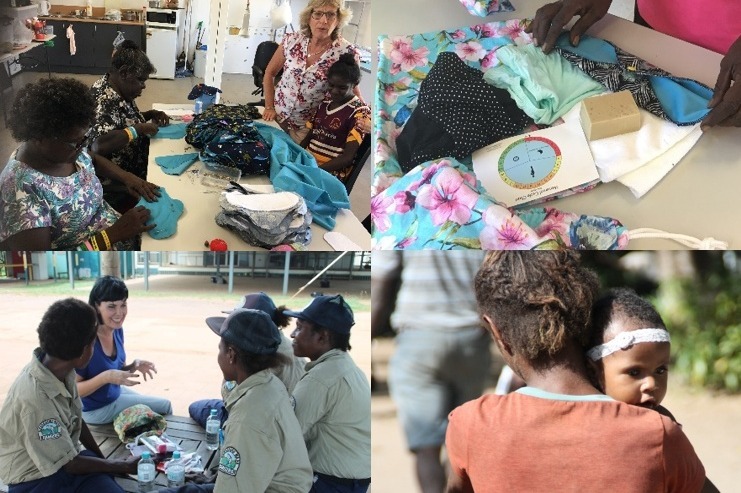 I’m very proud of the way that the Doomadgee ladies have responded to help the project. 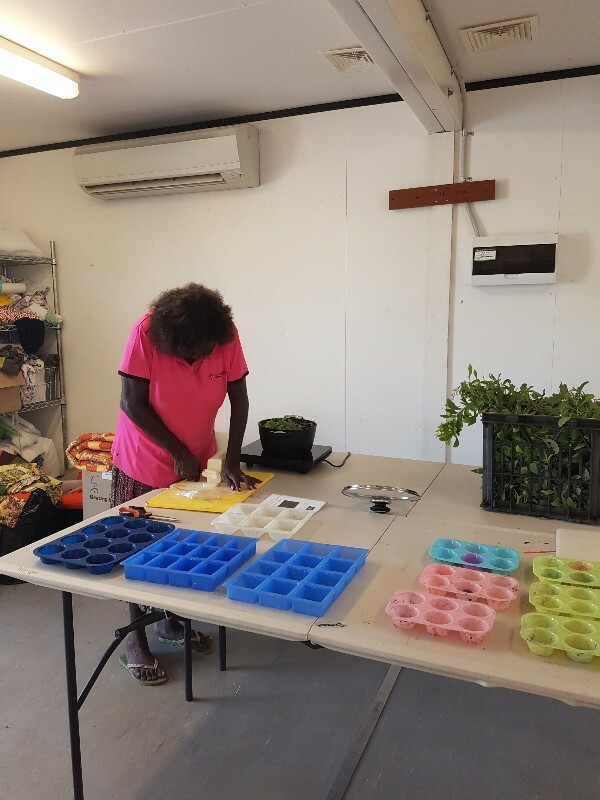 Making their own sandlewood soap for the doomadgee moon sick care bags. Learning the snap locking machine.